Heating company Vaillant Group is launching a pop-up cinema with heated beanbags and taking 'warming pods' on tour to stations in the UK. The activations are tying in with Warmth Week, which starts today (16 January) on Blue Monday. Warmth Week aims to cheer Brits up during an otherwise dreary week in January, with Vaillant saying it aims to 'help homeowners reconnect with the joy of their homes'. 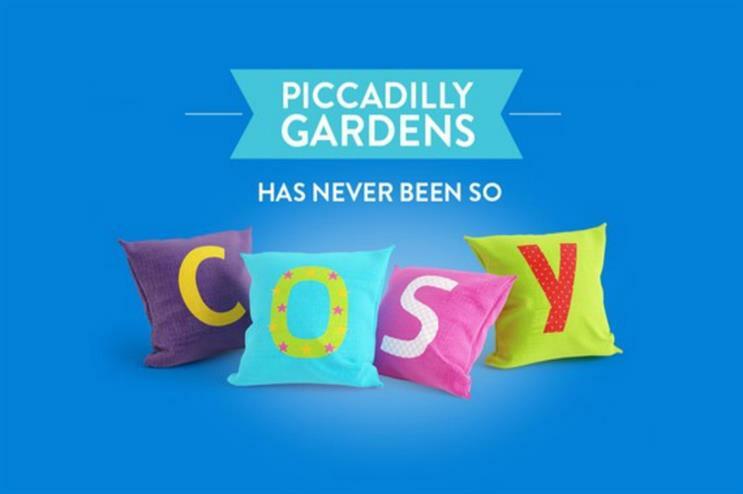 The boiler brand is bringing its Guinness World Record-breaking largest bean bag to the heart of Manchester's Piccadilly Gardens, where people can snuggle down and watch a film, alongside receiving some heart-warming goodies. Films are being shown twice a day from Monday to Friday, at 4pm and 7.30pm, with the choice including Toy Story, Cool Running, Finding Dory, The Martian, The Jungle book, Guardians of the Galaxy, Frozen, Mamma Mia, Inside Out and Back to the Future. Vaillant is also taking its 'Warmth Pods' on tour this week to busy train stations. The pods aim to create a warm, quiet and personalised sanctuary where commuters can kick back and relax while waiting for their train and take selfies. The pods will be visiting Edinburgh today, Manchester Piccadilly on 18 January and London Waterloo on 20 January. To celebrate Warmth Week last year, Vaillant toured a smile activated vending machine around the UK last week. Westfield shopping centre hosted a technology showcase last year, with British Gas displaying its Hive Acting Heating system, and products from smart energy to Boiler IQ, as well as offering a virtual reality experience showing how a truly connected home can work.